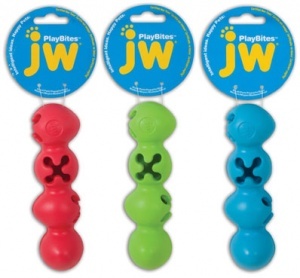 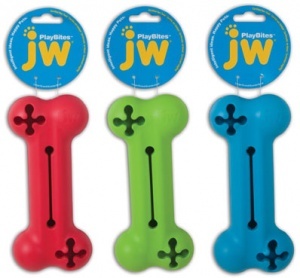 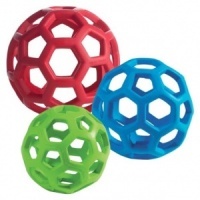 The JW PlayBites range of treat dispensing dog toys are made from durable natural rubber and can be filled with treats or kibble. 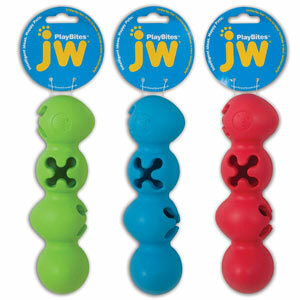 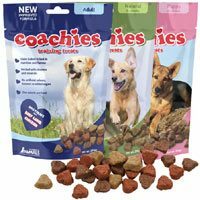 As the dog plays, chews and licks, the treats are slowly dispensed, providing lots of fun and enjoyment. 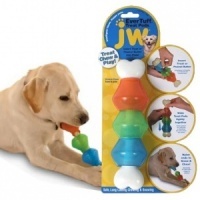 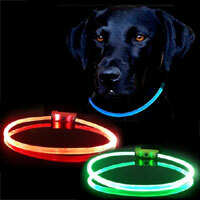 Ideal for keeping dogs entertained and mentally stimulated. 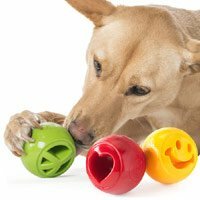 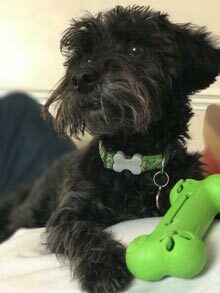 There are three unique and interesting designs for your dog to get their chops around. 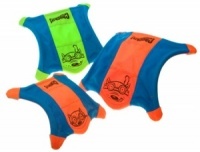 Each shape is available in size medium or large. 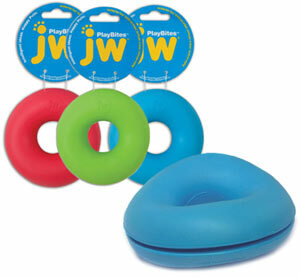 Treats are dispensed from the holes of the bone and caterpillar and from the sides of the doughnut (squeeze to open). Perfect for small to large dogs and even teething puppies.